If you are like me, you dread stepping on a scale. Most always it does not bring you welcome news. However, New Years Resolutions need to be made, and it is time to get cracking on the fitness goals we have! This is important because as you workout, diet, and progress in your fitness goals, you want the body fat percentage to decrease, while your muscle mass increases. Because it shows how much of your weight is water weight, you can still see whether you are reaching your goals.... and whether your "plateau" is really a plateau, or whether you are just retaining water. This is a KEY feature of this scale, and one that women especially will appreciate! Your actual weight is not the true measurement... so that is why this is a fantastic device, and it is ready for me to get my fitness on! 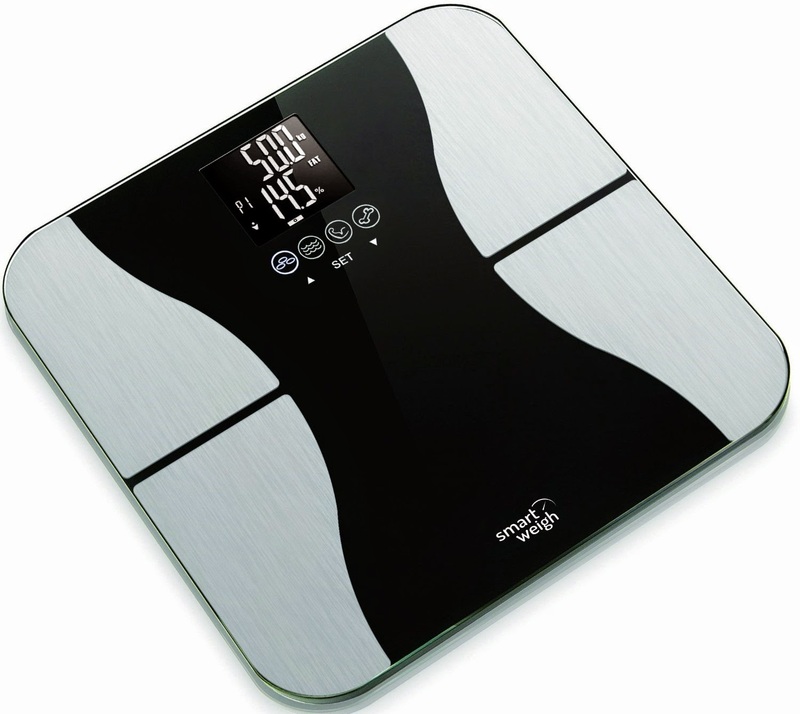 The scale is handcrafted out of high quality tempered glass with stainless steel. It is nice looking and will not distract from your bathroom decor. You can program up to 8 users on it. In this instance it will only be my husband and I. My personal goal is to lose 20 lbs. I only really NEED to lose 15 lbs but I am going to shoot for a larger goal just because I can. I also want my body fat percentage to be between 22 and 24%. (I won't say what it is right now but my BMI is 24). What are your New Years Resolutions? Besides losing 15-20lbs, I want to heal my adrenals and my thyroid. That is all I have on my plate this year!! All about ME and MY health!